Villa Bastiola gets an infinity pool! After owning Villa Bastiola for 10 years, we finally took the plunge (terrible joke) and invested in a gorgeous infinity pool! 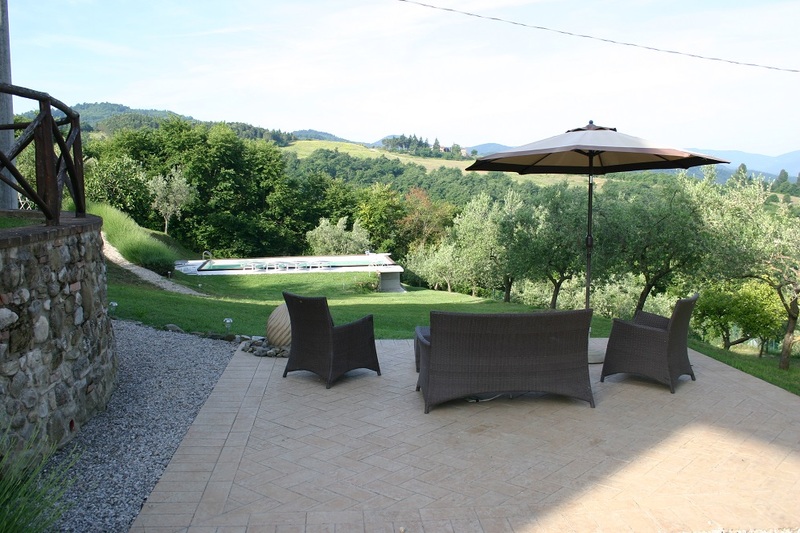 It nestles in the gardens overlooking the olive grove and incredible views of Umbria and Tuscany beyond. 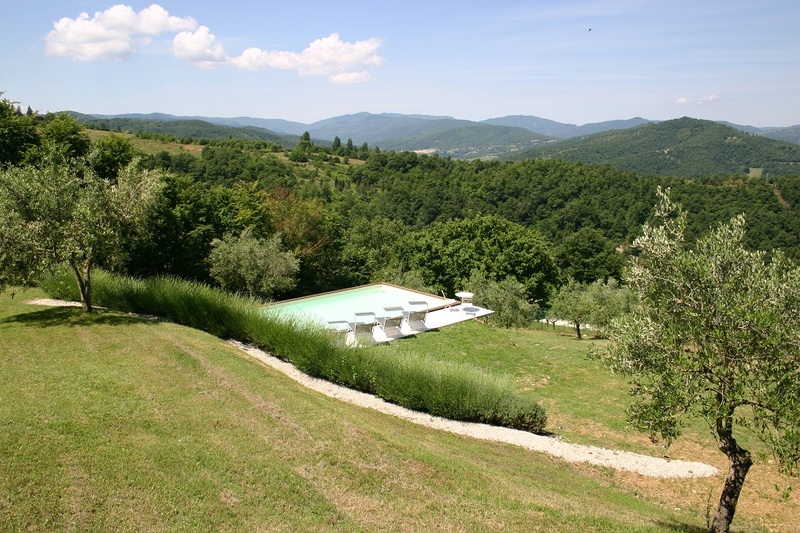 At 10m x 5m and a depth of 1.20m throughout it is a perfect way to cool off in the summer sun, for family fun and even some serious swimming to minimise the effects of the delicious Umbrian food. A mineral salt purification system has been fitted to keep the water sparkling clean – it’s so much better for sensitive skin and eyes. The pool is surrounded on two sides by a terrace with 8 lovely Rimini sun loungers and a table and chairs, all overlooking the view. Even better, a minibar area is about to be installed by the pool so no need to trek back up to the Villa for refreshments, it’s all on hand! 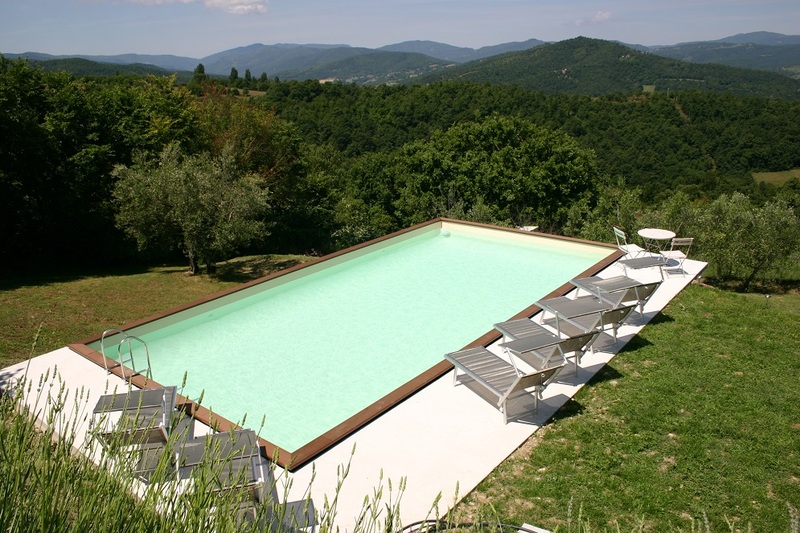 Bookmark this article Villa Bastiola gets an infinity pool! Special offer! 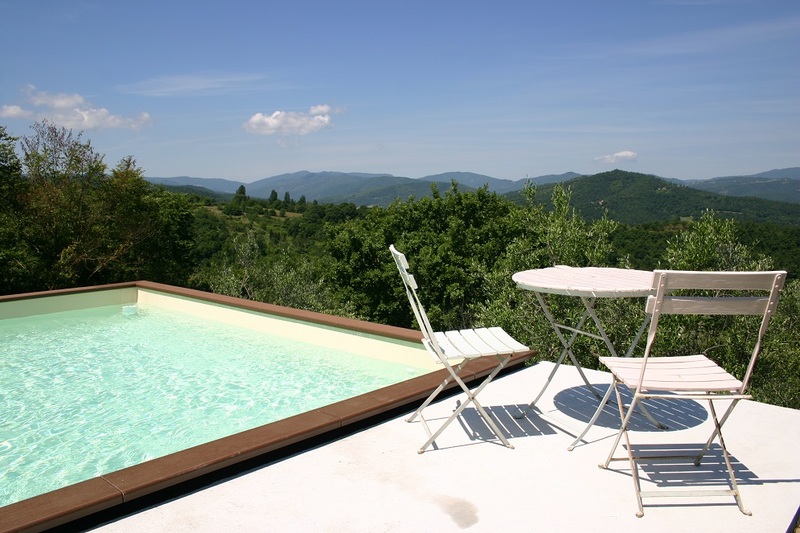 Umbrian villa with pool for just £1500 per week in August!